How can we help your puppy? Puppy Training Class. 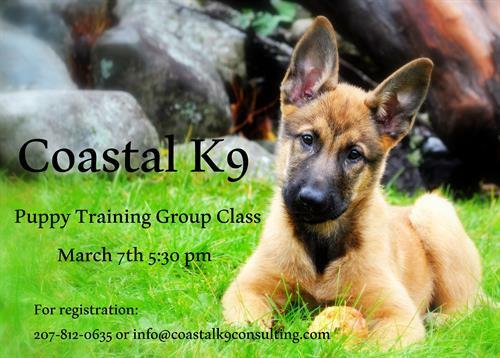 Four weeks, Tuesday evenings starting on March 7th, at 5:30 PM. Using Lure and Reward to shape positive behaviors. For puppies up to 6 months old. March 7th @ 5:30 PM, March 14th @ 5:30 PM, March 21st @ 5:30 PM and March 28th @ 5:30 PM. Classes are about 1 hour in duration.